"Whatever that was, it wudn't baseball!" 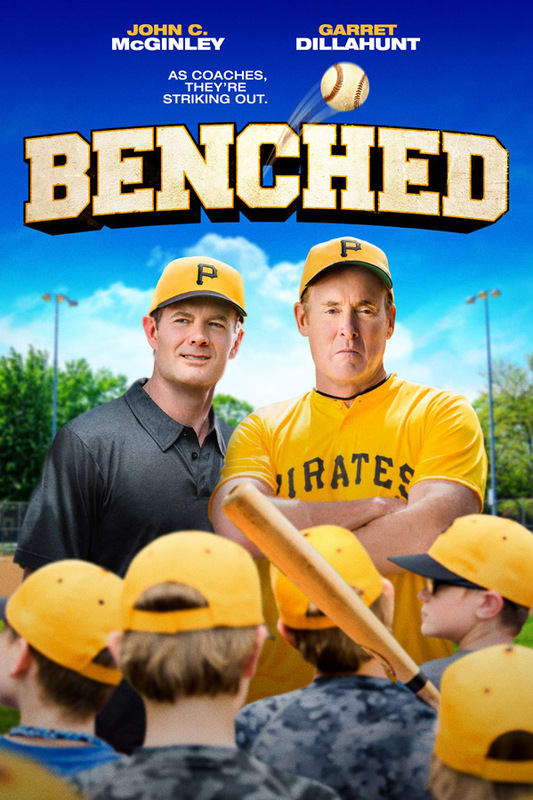 Gravitas Ventures has released the first official trailer for an indie comedy titled Benched, formerly known as Rounding Third while in production. This awkward, amusing comedy is about two little league baseball coach dads assigned to the same team who have to figure out how to work together, and train their team to win. This is one of those uplifting, feel-good, cheerful indie films about how enemies can become friends if you just learn to work together. John C. McGinley and Garret Dillahunt star, along with Jlynn Johnson, Graham Schneider, Keith Jamal Evans, Brogan Hall, Carter Wallace, Brennon Olsen, Brayden Chunn, Drake Light, and Caleb Coffey. This looks about as cheesy and as charming as you're expecting, but maybe this is just what a few of us really need right now. Legendary baseball coach, Don (John C. McGinley), gets inexperienced Michael (Garret Dillahunt) as his new assistant coach. The two coaches are polar opposites as fiery Don loves to win no matter the cost and Michael is all about having fun. To make matters worse, their team leads the league in errors, strikeouts, and hurt feelings. Throughout a season of hilarity and heartbreak, Michael and Don must work together to help their underdog team. Come play ball in this heartwarming comedy about two adverse coaches coming off the bench and getting their heads in the game. Benched is co-directed by filmmakers Robert Deaton & George J. Flanigen IV (both TV producers, both of American Saturday Night: Live from the Grand Ole Opry). The screenplay is written by Richard Dresser. This hasn't premiered at any film festivals yet. Gravitas releases Benched in select theaters + on VOD starting August 17th late this summer. Anyone?